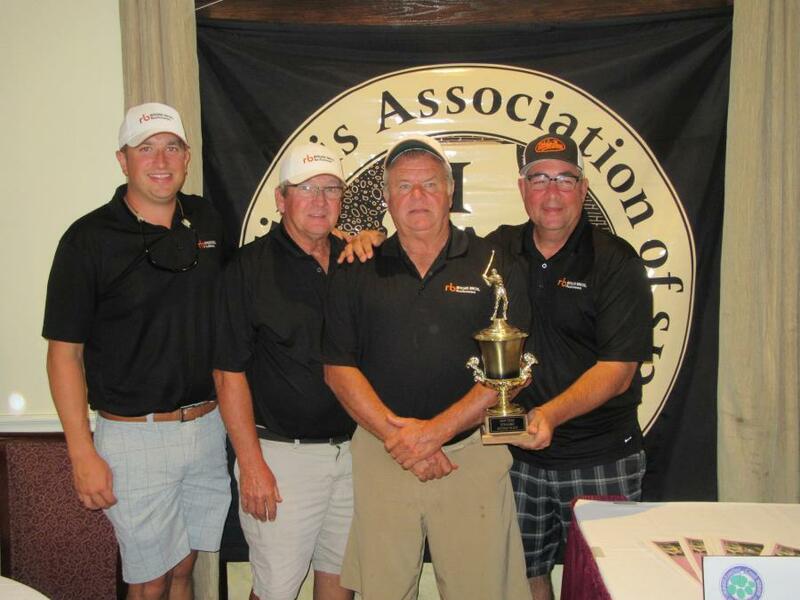 Ritchie Bros.’ team (L-R) Jacob Hopper, Bill Fehrenbacher, Don Cunningham and Rich Evans took home the first place trophy. 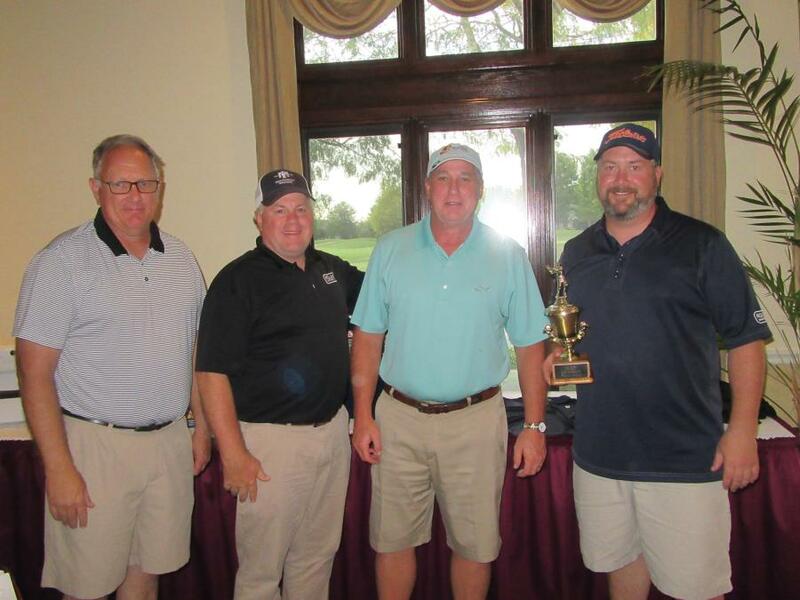 A beautiful day welcomed 193 golfers to IAAP's Sept. 11 golf outing held at Panther Creek Country Club and Piper Glen Golf Club in Springfield. 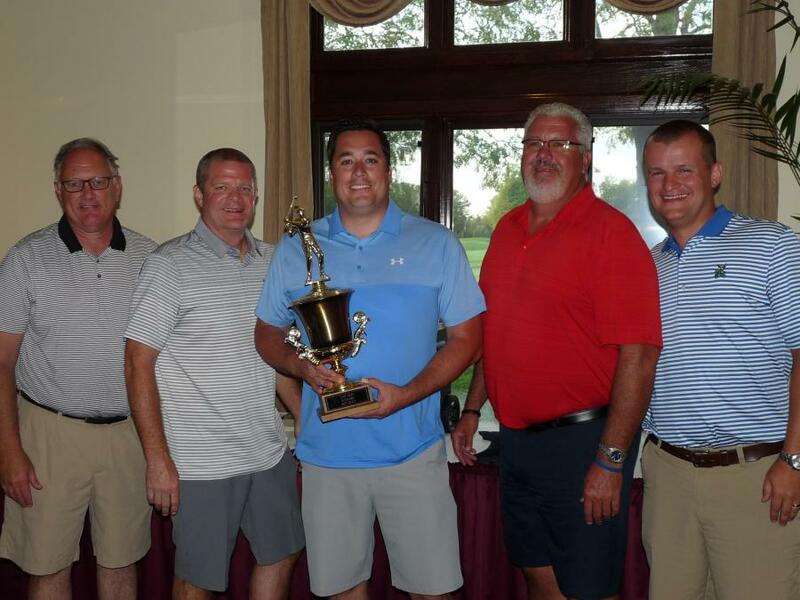 Due to the strong support of everyone attending, this outing raised $11,280 for the IAAP Political Action Committee. PIE Committee members sold 50/50 raffle tickets raising $1,565 for the IAAP's rocks, minerals and mining workshop for Illinois teachers. 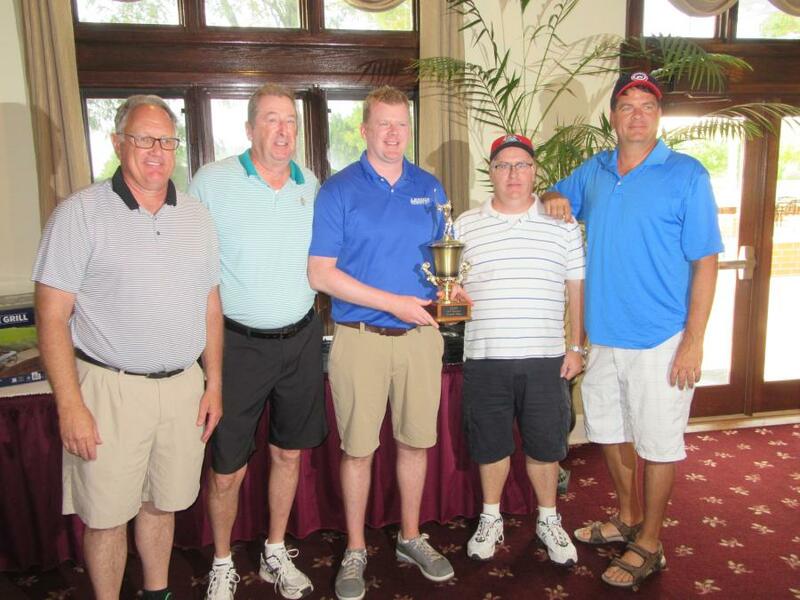 The golf outing offers a unique opportunity to have fun and visit with friends in the industry. Using a scramble format, the event proved to be highly competitive once again. 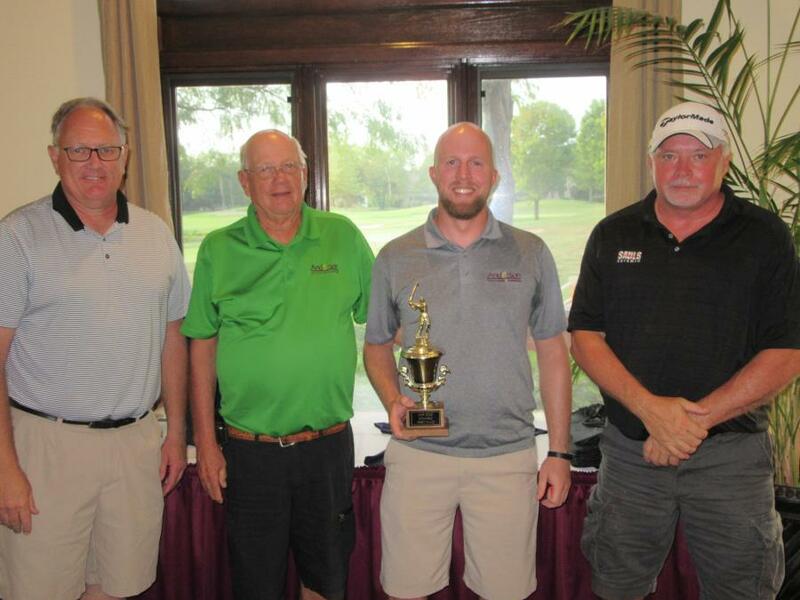 In addition to golf, a delicious meal at the end of the day concluded with recognition for the best scores and outstanding players at both courses, numerous door prizes and the 50/50 raffle, which was claimed by Jack Ackerman, TCI Manufacturing & Equipment.